Hopefully, you’ll never have to deal with the jail system. You’ll never personally go to jail. None of your friends will ever go to jail. No person that you know will ever get stuck in a concrete and metal cage and lose their freedom for any amount of time as a method of punishment. However, that’s not necessarily realistic. At some point, you should probably understand a few basic pieces of information about jails and how they work. Some categories of thought you should research include learning about bail bonds, knowing how County jail works, understanding the federal prison system, and then knowing how for-profit correctional facilities fit into the mix. Ideally, you’ll be able to keep away from all of these institutions, but at least knowing the basic framework can’t hurt on a theoretical level. How many movies have you seen where someone gets in trouble and one phone call that they make is to call a family member or friend and ask if they can post bail? This is an exchange of money so that a person can go free. It’s kind of like a financial insurance policy, and a promise that you will show up in court when you’re supposed to. You can’t post bail, that means you have to stay in lockup most likely until your court date. There are lots of variations on this theme, but that’s the general idea. For small offenses, people will typically end up in the county jail. This idea is occasionally romanticized in the movies or on TV, but it’s still probably not going to be a pleasant experience. Depending on the size of your county, you could end up in a large or small area with a lot of people were very few. Getting processed in county jail will give you some indication about the next step in your legal proceedings. For people who commit more severe crimes, or for people who commit crimes across state lines, federal prison is going to be your ultimate destination. When you begin finding out how federal prison works, it should pretty much steer you straight into never wanting to end up in that situation. Federal criminality is a whole new ballgame when it comes to the justice system. There’s a lot of attention being paid recently to the idea of for-profit correctional facilities. The military-industrial complex that has evolved with the justice system has created an opening for private prisons essentially. These facilities are owned by companies, and they operate at a profit. 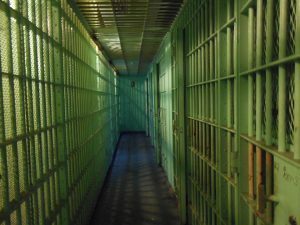 The federal government does not own these facilities, and there are lots of questions as to conflict of interest concerning how inmates are treated, and how sentencing can affect profit margins for these companies.